← A Trio of Quail Eggs. yummy what a great combination of flavors! i just discovered quinoa recently and tried my first recipe with it last week. i have so many apples lying around, this will definitely be my next quinoa experience. Yum, that looks so good. My mouth is watering. I gave up alcohol for lent this year. I hope I can make it! Beautiful. And I have a bag of quinoa I need to use up! Thanks for creating this recipe. yummm!! i love lenten lindsay! (well, i love regular lindsay too, but you know i just get a little extra excited about your vegan recipes) i can’t believe it’s already been a year since we were out there partaking in your tofu mushroom burger recreations! 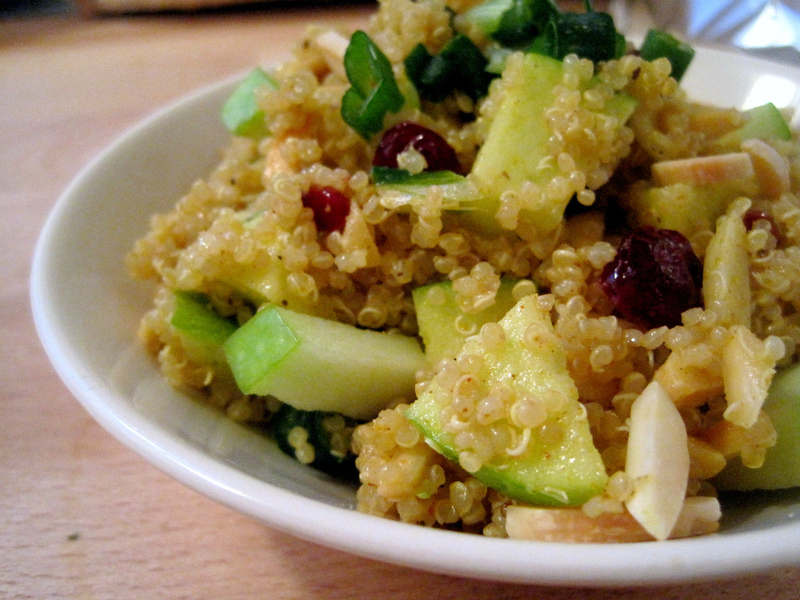 ps: this quinoa salad looks amazing! We participate in Lent at our house (something else we have in common!) but we do it as a family now. No potato chips and no dessert this year. It’s always harder at the beginning of Lent, but by the end, it’s no trouble. This recipe looks amazing, I’m going to try it. AND, love your thoughs on Lent as well. Good stuff…. Lent or no Lent, I am so trying this recipe!! I am so looking forward to putting my quinoa to good use.